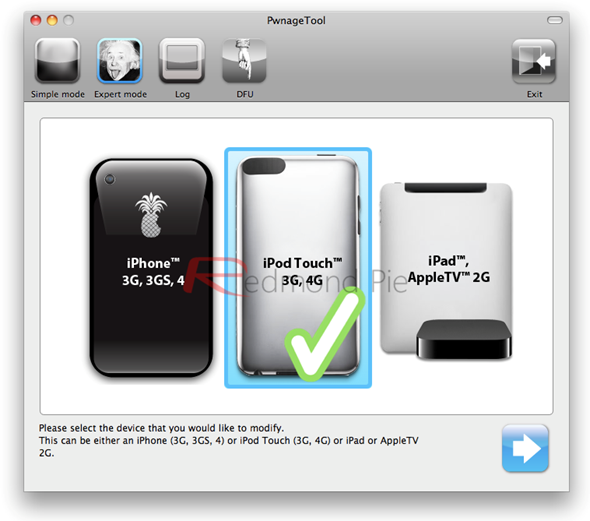 PwnageTool bundle to jailbreak iOS 4.3.2 on iPod touch 4G has been released. You can use this bundle with PwnageTool 4.3 to create custom jailbroken 4.3.2 firmware file for your fourth-generation iPod touch. 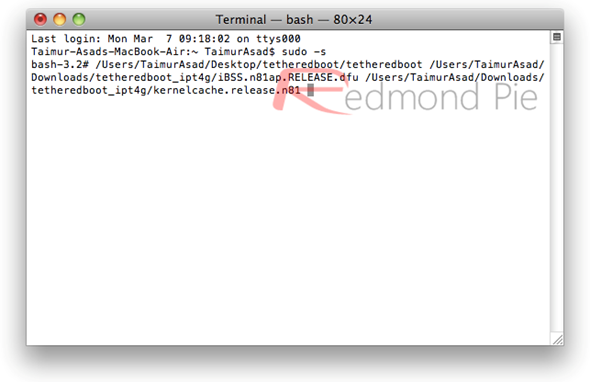 Just like the jailbreak for iPhone 4 and iPad 1G on iOS 4.3.2, this is also limited to tethered jailbreak, which means you will need to restart your iPod touch in a tethered-jailbroken mode on every reboot using tetheredboot utility. We have already covered extensive tutorials on how-to jailbreak iPhone and iPad on iOS 4.3.2. The instructions for both iPod touch 4G and 3G are exactly same as the ones for iPad or iPhone 4. You can follow the instructions posted here, with some changes as explained below to jailbreak your iPod touch on iOS 4.3.2. On Step 1, download iPod4,1_4.3.2_8H7.bundle file and move it to the location as mentioned in the instructions. On Step 5, select “iPod touch 3G, 4G” option when PwnageTool prompts to select your device. 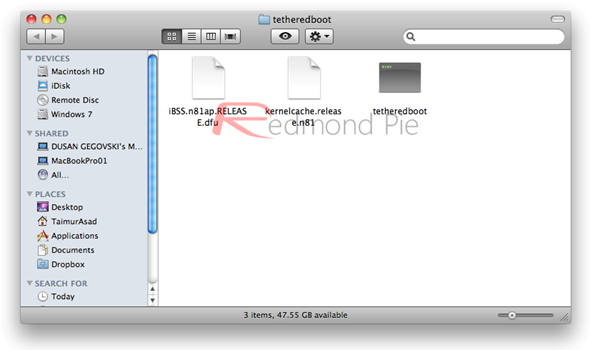 Tip: Simply drag and drop in Terminal – tetheredboot file, then iBSS file and then kernelcache.release file.